Procrastination is the tendency to put things off – often to the point where they’re no longer manageable. It’s the disconnect between your intention and action. And it usually makes hard things even harder. Procrastination often happens when you have some anxiety about the important task ahead of you. To get rid of this negative feeling, you procrastinate — by opening up Facebook or watching Netflix instead. This makes you feel better temporarily, but unfortunately, reality comes back to bite you in the end. When you procrastinate, it’s easy for things to snowball out of control. In some cases, it can lead to outright panic, freezing you in your tracks and preventing you from getting anything done. We all have the same 24 hours in a day. The most successful people have learned how to plan and prioritize effectively. If you don’t have a plan, your brain stalls. And that’s when you procrastinate. 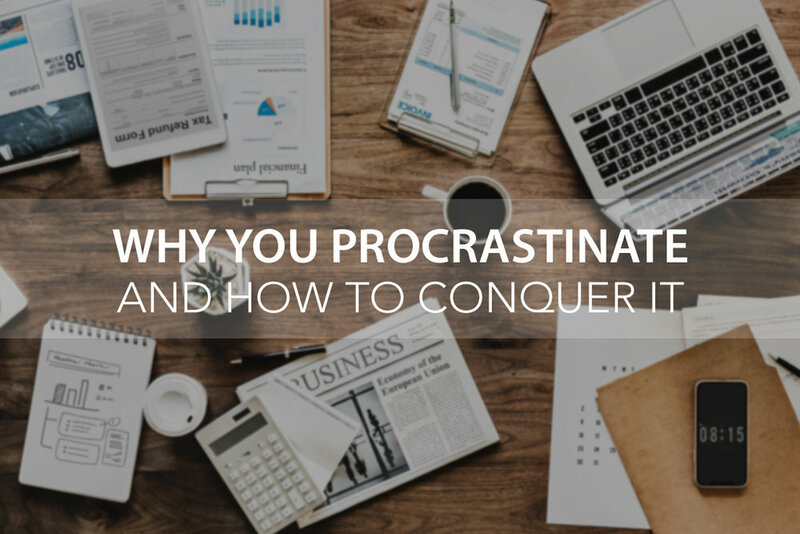 Instead of considering procrastination as a habit you need to break, or a hardwired part of your personality, think of it as an alarm, or a red flag—a sign that something is missing. Something is preventing you from getting things done. Next, identify a specific short-term goal. A goal will force you to focus on one thing (and one thing only). Finally, identify the steps required to achieve that goal. Break big activities down into smaller pieces (i.e., the divide and conquer approach). Don’t get overwhelmed by the magnitude of the whole task. Big problems are best solved in small bites. Recognize that you don’t have to be “in the mood” to do a certain task — just ignore how you feel and get started. Instead of focusing on feelings, think about what your next action step will be. Even if it’s an extremely small action, a little progress will typically make you feel better about the task and increase your confidence. Your time on earth is limited. Procrastinators act as if they have all the time in the world. But deep down, they know they’re wasting their life by sitting in their comfort zone. Don’t squander another second – dive in today!